Bangkok, Hanoi and Hawaii were three of the possible venues mentioned when the US and North Korea agreed to have a second summit. 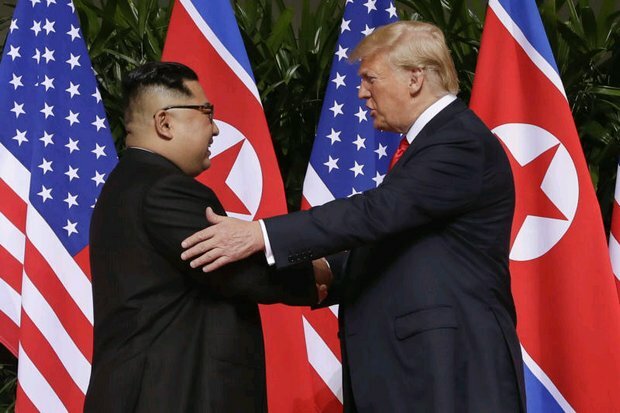 However, when the final decision was made just days ahead of the announcement by President Donald Trump during the State of the Union address, Hanoi stood alone as the site for the second summit between him and North Korean leader Kim Jong-un on Feb 27-28. In the beginning, Thailand had a good chance. As the current Asean chair, it would have been the best place to host the summit -- as was the case earlier with the previous Asean chair, Singapore. However, after on-site inspections of both physical and social-political conditions in both capitals, Hanoi emerged as the favourite. Hawaii was dismissed due to the distance and the time not being right for such a visit, as US-North Korea ties have not been fully normalised. 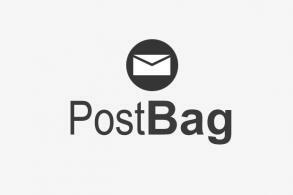 Kavi Chongkittavorn is a veteran journalist on regional affairs. At first glance, Thailand and Vietnam share many similarities. First of all, they are both active in regional and international communities as Asean members. Vietnam will be the next Asean chair after Thailand. Most importantly, Hanoi is going to bid for a two-year term as a non-permanent member of the UN Security Council in 2021. Thailand is also bidding to become a member of the UN Economic and Social Council for 2020-2022. Second, both countries have good relations with all parties concerned with the Korean Peninsula -- the US, China, Japan and North and South Korea. The North also has embassies in Hanoi and Bangkok. Third, they are in the same time zone and the flying distance from Pyongyang to both countries is roughly the same, a little over three hours, with Hanoi a bit closer. Fourth, the two capitals have excellent facilities and great places to stay as well as diplomatic experience to handle high-level meetings of all kinds. However, three decisive factors helped Vietnam win over Thailand -- the level of uncertainty about Thai political developments, the air pollution in Bangkok, and Vietnam's successful economic model. Although the Thai government has announced elections for 24 March, which has calmed the threat of street protests, fears still linger that the Prayut Chan-o-cha government may further postpone it. In comparison to Bangkok, Hanoi is less problematic when it comes to security matters involving unexpected mass militias. No street protests on any issues are expected during the summit in Vietnam. Any elements hostile toward North Korea would find it difficult to enter the country. Although Danang was at first the favourite city, having already hosted Mr Trump during the Apec Leaders Meeting in November 2017, the summit was later changed to Hanoi because Mr Kim is reportedly scheduled to make an official visit there on the sidelines of the summit. Also, the dangerous levels of PM2.5 dust particles in Bangkok in recent weeks did not help its image as a hospitable venue, though millions of foreign tourists continued to flock to the capital. The American and North Korean leaders are not used to such air quality and no one wanted to see them wearing protective masks. As Mr Trump has said that North Korea is transforming into an economic rocket, the region's most suitable country to coach the hermit kingdom in the future development would definitely be Vietnam. In the past four decades since it launched its economic reforms known as Doi Moi, Vietnam has turned itself around from a battle-ridden nation to a leading Southeast Asian trading partner. 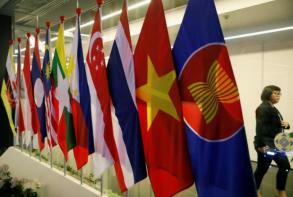 Since joining Asean in 1995, its transformation has become even speedier and more astonishing. Now Vietnam is one of the region's economic powerhouses. Surely, Mr Trump wants to showcase Vietnam's modernisation and progress, with its original political system intact, as a model for North Korea to emulate. At the Vancouver meeting on North Korea in January 2018, Washington reiterated there would be no regime change or troops dispatched across the 38th parallel, as far as current US-North Korean ties are concerned. Furthermore, Vietnam is a member of the Comprehensive and Progressive Agreement for Trans-Pacific Partnership, the world's high quality free-trade agreement. It would not be a surprise if Mr Trump were to give his personal stamp of approval to Vietnam, stating that friendship and cooperation with the US produces good results. 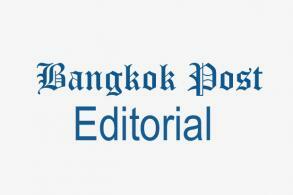 While Thai-North Korean relations are cordial, there is a hitch. Thai troops joined the 16-nation international peace force that fought Pyongyang during the 1950-53 Korean War. For years after the war, Pyongyang has asked Bangkok to withdraw its miniature flag from the Peace Village at Panmunjom. Thailand said it would do so when a peace treaty replaces the armistice agreement. Also, over the past decade, Chiang Saen district in Chiang Rai province has become the world's largest transit centre for North Korean asylum seekers reaching the Kingdom's northern border. Bangkok has repatriated several thousand of them to South Korea since 2009. After they established diplomatic ties in 1950, Vietnam and North Korea helped each other through thick and thin during the Cold War. But ties soured in February 2017 when a Vietnamese woman was identified as one of two suspects in the assassination of Kim's half-brother, Kim Yong-nam, at Kuala Lumpur's international airport. Over the last decade, when North Korea's ties with China were not as good as today, coupled with UN sanctions, Vietnamese coastal cities like Haiphong were used as trading ports by North Korea. With the timely convergence of geopolitical factors, Vietnam, North Korea and the US know the importance of the summit and its consequences -- particularly Washington and Pyongyang, which overcame diplomatic hurdles to make it happen. With substantive progress made in relation to denuclearisation, the summit could also lay the groundwork for North Korea to move into the orbit of the Indo-Pacific community. Since Pyongyang is a member of the Asean Regional Forum and a signatory of the Treaty of Amity and Cooperation in Southeast Asia, Asean is in a position to familiarise it with all aspects of regional integration. North Korea's close proximity and friendship with Asean thus creates a comfort zone for it.